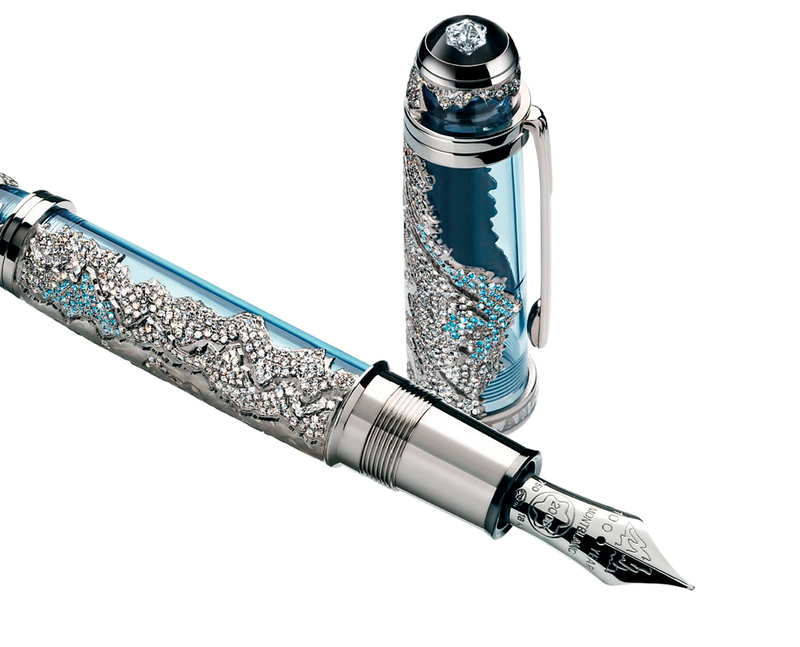 It is Montblanc’s 100-year anniversary, and to celebrate the company is premiering a variety of exquisite new pieces. The Star Chrono GMT Perpetual Calendar chronograph is available in yellow, rose gold, white or platinum, and includes a GMT display in addition to its normal timepiece functions. The Montblanc Starwalker Special Edition features a beautiful diamond, cut in the shape of the Montblanc signet, and a clip ring inscribed with “Montblanc 100”. There is also the Montblanc 100 Years Solitaire Mountain Massif Skeleton 2006 Edition, which includes 18-karat white gold, and is studded with 1,277 white diamonds and 123 blue diamonds. This particular piece is limited to three pens worldwide.